Paleontologists have been trying to understand the true origins of the creatures that were renting Earth before we moved in ever since we discovered that we weren't the first tenants. In fact, we basically had a whole movie that was all about figuring out what noises they made when chatting with each other. However, the scientific community is still in heavy debate about what to call the noises that come out of the velociraptor. That means it is time to outsource the investigation so we can finally decide once and for all: squawk, chirp, or bark? The first step is to observe your own little monster while they're wearing this child-sized Jurassic World Dino Mask. 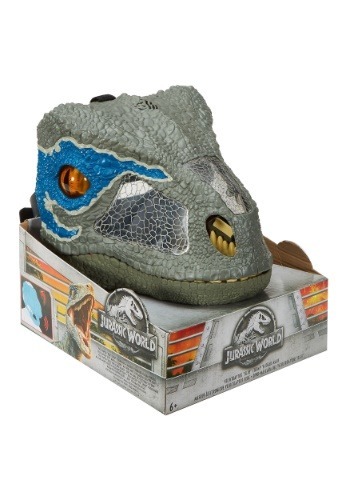 It looks just like the brilliant leader of the raptor squad, Blue, and features sound effects that perfectly replicate the vocalizations of the amazing critters. 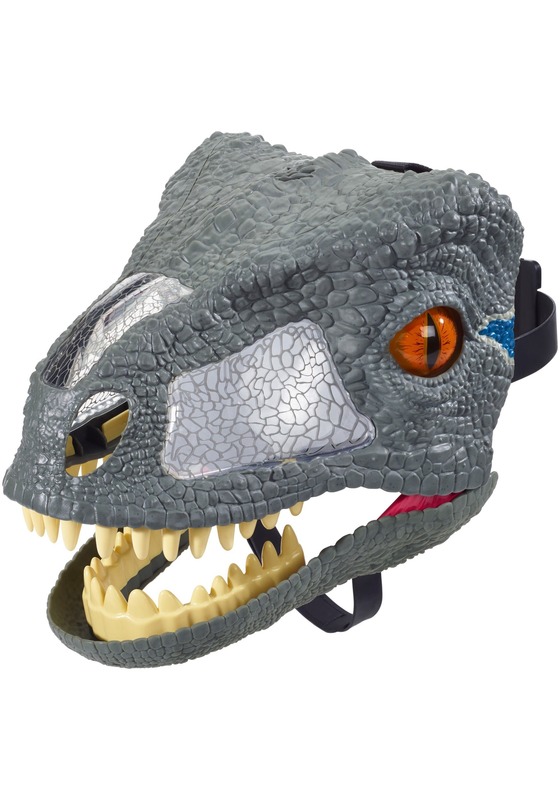 Your kid is going to love sounding and looking like their favorite dinosaur and you'll get to identify all the sounds in no time! When your kiddo becomes their favorite dinosaur, you'll be able to play a brand new game of dino chatting. Perfect your slightly monstrous bird sounds and dino barks! Of course, your kid will have an upper hand with the sound-producing mask, but there's nothing saying you can't get one, too!